The Jeanie Project partners with community groups and charities, offering access to a free software platform (Jeanie KIM), which collects information about a legal issue from their users/members/clients (clients), which can be signposted locally or sent to a pro bono legal adviser. Pro bono legal advice is advice which is provided for free by lawyers, to individuals who cannot afford to pay for that advice, and where public and alternative means of funding are not available. Jeanie KIM is an online platform that enables you to collect information relating to your client’s legal problem in a structured format. The programme will take you through a series of questions to ask the client. 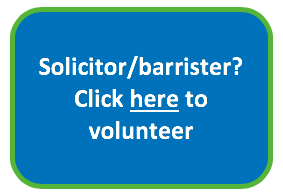 Once the information has been gathered, it can be signposted locally or notified to a pool of approved pro bono legal advisers. An adviser will take on the case and contact the client directly. This will usually take several days at least. What equipment does our organisation need to use Jeanie KIM? Registered users at the community group or charity can access Jeanie KIM through any web browser on an internet enabled device such as a computer, lap top or tablet. The device should also be capable of taking pictures or scanning documents. The Jeanie Project is unable to supply IT equipment. Nothing! The Jeanie Project provides you with free access to Jeanie KIM and our legal advisers do not charge for their services – they are pro bono advisers. Everything is free. What support/training will be provided to implement Jeanie KIM in our organisation? Jeanie KIM is a user moderated tool, meaning it cannot be used by clients directly, it must be used by a trained operator. Operators do not need any specific legal knowledge to operate the system – just an understanding of how to use it. Each community group or charity will be provided with free training for key personnel and ongoing free support from The Jeanie Project. Who provides the free legal advice? In addition to existing local advice infrastructure, The Jeanie Project is growing a pool of approved pro bono legal advisers, all of whom are qualified lawyers or, in some cases, supervised trainees. The adviser will have no less than the minimum level of legal experience as would be required if the work in question was paid work. Advisers are required to adhere to The Jeanie Project’s Advice Delivery Protocol. Operators will not be expected to provide legal advice. What sort of information will clients be required to provide? Clients will be required to provide basic personal information such as name, address and proof of identity. Jeanie KIM will also ask questions relating to financial status in order that the pro bono legal adviser can determine whether the client is eligible for legal aid or pro bono advice. The client will then be asked to provide an overview of the situation they are seeking advice about and to provide any supporting documentation. Any such documentation needs to be scanned/photographed and uploaded to Jeanie KIM. Check here for a FAQs for Clients which can be given to clients. Where is the client data stored? Data will be stored in the cloud within a UK data centre and is subject to stringent information security. Jeanie KIM does not in itself provide advice, rather it facilitates the collection of accurate information in front line agencies. Better information improves the quality of advice and the speed at which it can be delivered. The client is not required to be IT literate and there are no restrictions as to how many enquiries each client can make. It is also possible for the client to receive advice from several legal advisers where their case touches on more than one area of the law. For further information or to get involved please contact us – we’d love to hear from you!